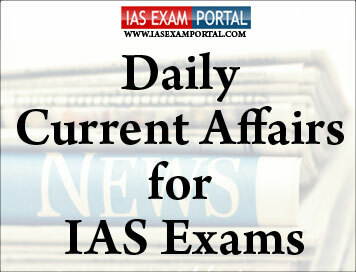 Current Affairs for IAS Exams - 10 FEBRUARY 2019 | IAS EXAM PORTAL - India's Largest Community for UPSC Exam Aspirants. The NSCN-IM has been fighting for ‘Greater Nagaland’ or Nagalim — it wants to extend Nagaland's borders by including Naga-dominated areas in neighbouring Assam, Manipur and Arunachal Pradesh, to unite 1.2 million Nagas. In spite of this, there remain issues related to agricultural credit such as regional disparity and the extent of coverage, among others.“There is also the issue of deepening long-term agricultural credit for capital formation,” the RBI said while announcing setting up of the IWG. According to Mr.Dhakan, a drug made and tested in the U.S. may not work for the Indian population. So understanding the gut microbiome will help customise drugs and also develop new strategies for tackling the metabolic diseases by correcting the imbalance in the gut microbiome.